Did Bristol's top cop collude with Loyalist assassins? On the Avon and Somerset police website it explains that Avon and Somerset's present Chief Constable Colin Port headed an 'independent' investigation into the 1999 car-bombing and murder of Republican lawyer Rosemary Nelson. 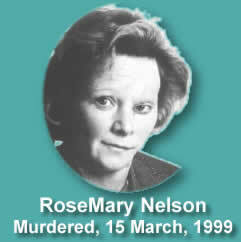 Colin Port's web page explains, "Between 1999 and 2002 he was seconded to Northern Ireland to investigate the circumstances surrounding the death of Rosemary Nelson." Colin Port's so-called independent investigation team was partly made up of RUC officers, operating out of Lurgan barracks, the station from which most of the death threats against Rosemary Nelson emanated. After three years on the case Port's found nothing and prosecuted no-one. So disgusted were the Irish people, from both sides of the divide, that the Secretary of State for Northern Ireland was forced to begin a new inquiry in 2004. That inquiry was mysteriously slow to open and has been stalled further since Security Service MI5 became formally involved in September last year (2006). Hearings have now been postponed indefinately and this is hardly suprising since the Security Service MI5 is implicated in Republican killings. A mystery car seen at one murder scene has been traced back to them. Colin Port's responsibility for protecting rather than questioning Rosemary Nelson's alleged killers is slowly sinking in around Avon and Somerset. As is the fact that since the Orange Order and Freemasonry are so closely connected to Loyalism that any association Port may have with the Freemasons would make his investigation of Rosemary Nelson's murder not just the travesty of justice, but a criminal offence by him too for failing to declare his interest. Hopefully pressure from concerned citizens, elected Councillors, the Police Authority and from honest cops within the constabulary will force Colin Port to publicly explain why he didn't question prime RUC murder suspects in the Rosemary Nelson case. If he doesn't want to do that he might quietly resign, retire,or be sacked for bringing the force into disrepute. 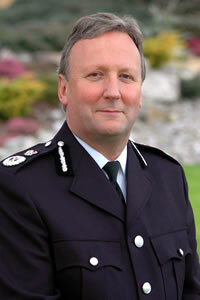 With Port's lack of credibility as an honest public servant much of the force is demoralised and defeatist. Worse still a notion is becoming clear, rightly or wrongly, that corruption starts at the top at Avon and Somerset Police.